Master Mariner, Music Teacher, Crowned Bard, Preacher, Lecturer and an active member of The Temperance Union. 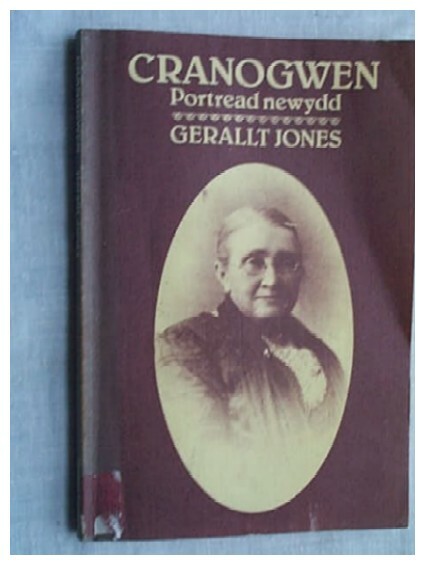 A book 'Cranogwen' 'Portread newydd' was written by Gerallt Jones of Caerwedros in 1980 and published by Gwasg Gomer Llandysul in 1981. The book is out of print. Another book 'Cofiant Cranogwen', written by Rev. D G Jones of Pontardawe was published in 1932 and has been out of print for many years. Both of these books were published in the Welsh Language. Cranogwen is buried in the grounds of St Caranog Church and her grave is located to the left of the main entrance at the top edge of the perimeter. Cranogwen was Sarah Jane Rees's bardic title and in 1865 she was the first woman to gain the coveted chair of the Royal National Eisteddfod in Aberystwyth and in 1873, she won the chair at Aberaeron Chair Eisteddfod. She presented the chair to Capel Bancyfelin, where it could be seen in the Pulpit. The book, The Story of Llangrannog, has a chapter dedicated to Cranogwen. To obtain more information on where to obtain a copy, please go to the page New Book. 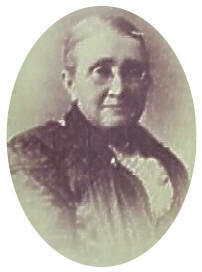 Sarah Jane Rees (Cranogwen, 1839-1916). Master Mariner; Teacher of Navigation and local Schoolmistress; Editor, Writer and winner of the 1865 Bardic Crown; Preacher. Sarah Jane Rees was born near Llangrannog in 1839, the youngest of a family of 3 children, and the only girl. Her father, John Rees, a sea captain, and her mother, Frances, both believed their daughter should be educated as well as their sons. In rural areas this was difficult as money was scarce, so Sarah Rees’s initial learning was done in the Chapel Sunday School. Here she learnt to read and write but meantime her weekdays were taken up playing on the beach, exploring the boats and rocks, and adventuring further afield in what became recognised as her ‘very independent manner’. When she was able to start school she was hungry for knowledge and read everything she could. Her teacher, Hugh Davies, encouraged her by giving her access to every book he possessed. But it was still the era when the needs of her brothers outweighed hers, and at the age of 13 she was sent to Cardigan, 12 miles away, to learn dressmaking. She returned home very quickly – she and needles were incompatible. Instead, Sarah Rees decided to go to sea with her father. John Rees captained a ketch cargo boat which sailed from the port of Llangrannog. His journeys tended to be short ones – to Liverpool, Swansea or Llanelli, and occasionally to France and Holland . To the utter astonishment of neighbours, he allowed Sarah to accompany him for the next two years. During this time she mastered the rudiments of navigation, which she would later teach. By 1854, when she was 15, her brothers were able to support themselves, and, again to everyone’s astonishment, Sarah returned to school. She studied in New Quay, Liverpool and London, extending her knowledge of Latin and navigation, and qualifying for her Captain’s certificate which enabled her to sail to any part of the world. At the age of 21 (in 1860) she became schoolmistress at Pontgarreg, where her former teacher Hugh Davies had ended his career. Here Sarah began to teach navigation to mariners, enabling them to obtain their certificates. They later became called “Cranogwen’s Captains”, after Sarah adopted her bardic name in 1865. In addition to teaching navigation, she also taught the music notation system “Tonic Sol-fa”. During the year 1865 Sarah submitted a lyric poem to the Aberystwyth national eisteddfod, and won the Bardic crown. Her bardic name “Cranogwen” is a derivative of St. Carannog, the saint who gave his name to the village of Llangrannog, and whose cell and church stand in the village. After this, Cranogwen began public lecturing and preaching, travelling not just around Wales but also to Welsh communities in America. 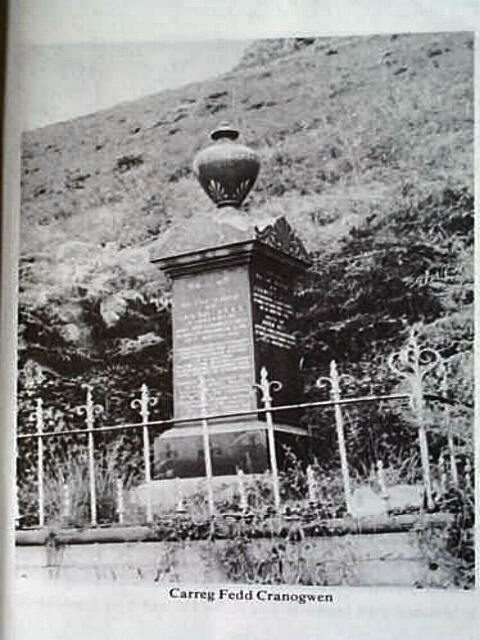 In addition she started a “Band of Hope” temperance movement in Bancyfelin Chapel in Llangrannog (now a private home) and extended this work throughout Wales. Her concern for the interest of women led her to found a Welsh Journal devoted to their interests. She not only edited the paper but wrote much of it herself: travel articles, “agony aunt” advice, biographies of famous people, all were included, and written by her. Fashion articles were, however, beneath her! Eventually Cranogwen gave up this work to concentrate on her preaching, and on moral welfare in the industrialised areas of South Wales, establishing the South Wales Women’s Temperance Union in 1901. One of her aims in life was to encourage women to develop themselves at a time when the main routes open to them were marriage (and motherhood) or domestic service. Her desire to educate showed itself in the way she taught navigation to mariners, reading and writing to children, and tonic sol-fah to would-be musicians. In addition she was a preacher and had taught in the Sunday School. She was also a master mariner in her own right. It was reported that people did what Cranogwen asked – no-one dared disobey her. We can safely assume the truth of that – no-one opposed her when she took her small dog on preaching engagements (e.g. to Chapel)! Her memorial is at the rear of St. Carannog’s churchyard (go out of the church and turn right, and right again immediately, at the top of the churchyard you will find the Rees family grave). Recollections of Cranogwen by J.N. Crowther, Welsh Gazette, 25/5/27. ‘A Woman ahead of her time’ by David W. James, Country Quest, Feb. 1989. Acknowledgements: With thanks to Roy Tarbutt of 'Arfryn' for loan of the book 'Cranogwen', by Gerallt Jones as information on the Internet is unfortunately very limited. Also thanks to Anna Greig for sending a copy of the Cranogwen leaflet which is available at the Church and to Philippa Gibson for the Welsh Translation which is on the Cranogwen page on the Welsh language section of the site.